The feature debut of director Frank Henenlotter (Brain Damage, Frankenhooker), 1982's Basket Case is perhaps his most revered - a riotous and blood-spattered midnight movie experience, now immortalized in a lavish new 4K restoration by the Museum of Modern Art (MoMA). Duane Bradley is a pretty ordinary guy. His formerly conjoined twin Belial, on the other hand, is a deformed, fleshy lump whom he carries around in a wicker basket. Arriving in the Big Apple and taking up a room at the seedy Hotel Broslin, the pair set about hunting down and butchering the surgeons responsible for their separation. But tensions flare up when Duane starts spending time with a pretty blonde secretary, and Belial's homicidal tendencies reach bloody new extremes. Arrow has provided fans a really nicely done package that boasts solid technical merits and outstanding supplements. Recommended. Arrow Video offers a vital, beautiful, and bracingly irreverent presentation of Frank Henenlotter's cult-film classic. A fantastic 4K restoration and an over-sized basket-worth of extras. 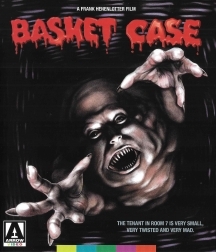 Basket Case looks fantastic now and with the bounty of extras in tow, it's easily one of their most satisfying discs of the year. Highly recommended to anyone who's still curious about what's in the basket. Basket Case is an absolute classic and now it finally has the release it deserves. This is an early contender for best Blu-ray of 2018. Arrow Video once again knocks it out of the park when it comes to their releases of important cult films, with a stellar A/V presentation and an overabundance of extras. The film in question is far from a masterpiece, and it has no desire to be one, but for super low-budget schlock, it's pretty impressive. 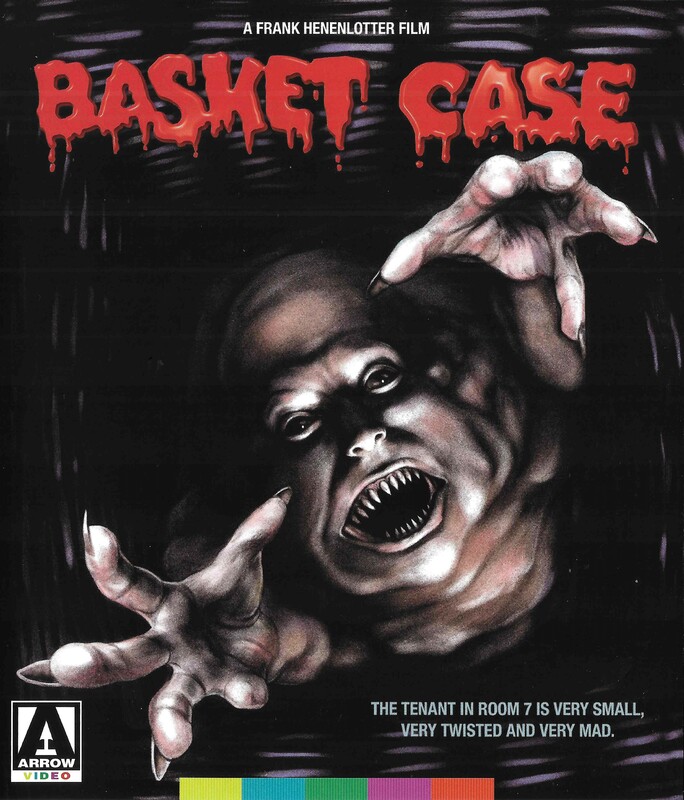 Basket Case might be a dingy and gruesome slice of subterranean cinema but this excellent release from Arrow, touting the stunning 4K restoration by MoMA and packed with hours of awesome bonus features, is the kind of treatment Criterion usually provides. Highly recommended.